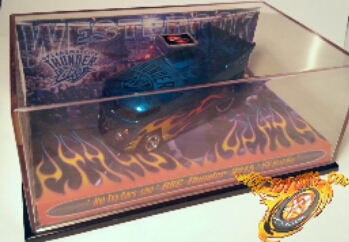 Thunder Drag Bus – case art preview! 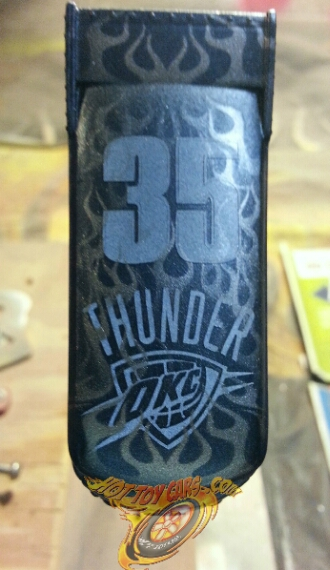 Quick preview of the OKC Thunder buses case art! 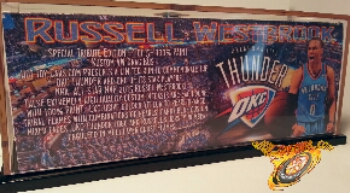 Obviously this is the Russell Westbrook (only two of these done) and the Kevin Durant will be similarly styled. Thunder buses.WIP. with color peek! First one with color …three layers of flames and special attention to base colors for logos and number. More soon on how to get one for your collection. Only five in this run. Westbrook and Durant numbers. GEEZ…didnt think I was ever gonna get a chance to work on these again! Between health issues and car stranding me then subsequent diagnosis/repair that have been plaguing me recently…I just did not know if I would make headway on these again. But here is a rare shot of the first flame licks. Now keep in mind, everything under the masked areas will be black. 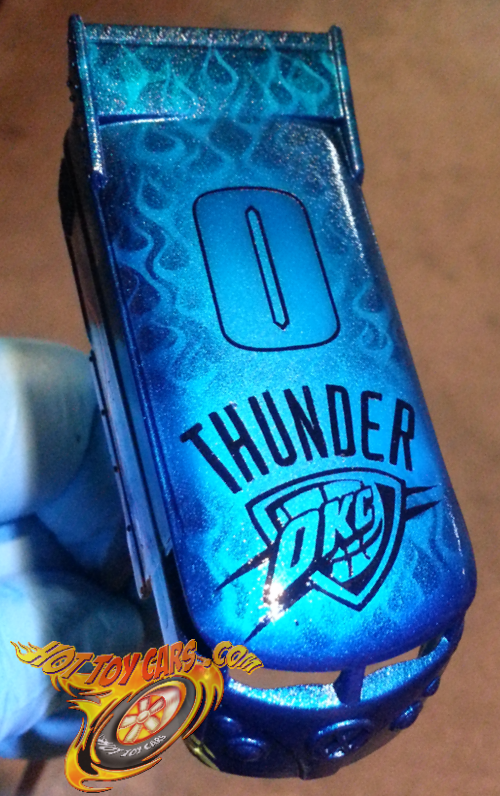 Ive lightly sprayed a custom pearl blue over the top then added first flames in custom medium metallic grey. Next layer will be brighter silver or chrome. Then I’ll unmask and coat with candy blue…or thats the plan right now. Have to work in the wee hours because of the heat here lately too. But..thats the least of the hurdles of late. Hope to have these and more done this week..we will see!